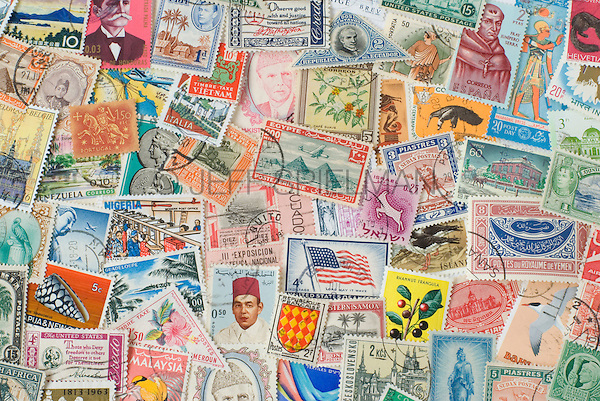 Assortment of Colorful Old Postage Stamps from Various Countries Around the World. AVAILABLE FOR COMMERCIAL OR EDITORIAL LICENSING FROM PLAINPICTURE.COM. Please go to www.plainpicture.com and search for image # p569m791796.